Over the past months, I have watched and listened to how people talk about the economic challenges that they are facing. For many they face a hard road of rebuilding lost retirement assets. For others it is seeking to discover a new purpose and vocation for their lives. For some, it is the realization that the global economic recession never touched them in any detrimental way. And for many of us, we are caught in the middle, knowing that change is needed, yet not clear where to go and why? What has impressed me during these months has been people who chose not to become cynical whiners and with fresh commitment and optimism pursued new ventures, redoubling, even tripling their efforts to make a difference in the social and organizational environments where they lived and worked. Some of my closest associates are these people, and have had a banner year of impact. Knowing them, their reaction is not surprising. They see their survival and success as a gift, not a badge of accomplishment. As I have reflected upon what I see, I’ve reached a number of conclusions about how we should conduct ourselves as leaders in life and work. I’ve learned from my own successes and failures. Learned from the surprises and the chance encounters that have made a huge and indelible impact upon my life. I’m coming to recognize more that what I encounter each day is a gift that comes with responsibility. At the core of what I see are some principles that can be lumped into the broad categories of stewardship and gratitude. The latter one, a topic that I became known for, not because of my excellence in its practice, but rather, like a blind pig sniffing for truffles in a French forest, I stumbled across a logical idea in an online contest that entered me into a world of people that I did not know existed. The former, of stewardship, has been a subject that I have ventured in and out of over the years, particularly during the 1990’s when I was working with a friend conducting capital campaigns for churches and non-profit organizations. What I am coming to learn is that stewardship and gratitude are cut from the same piece of cloth, and provide a perspective on our global society and world of business that provides direction for leaders in their service. A core understanding for both stewardship and gratitude is the idea that we are people who have been given a gift or many gifts. 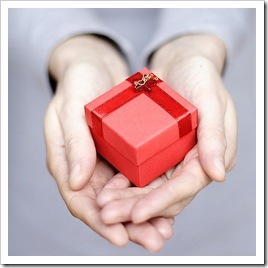 While the gift or gifts may now be in our possession, there comes with it a responsibility that we should not ignore. Viewing our life and work as a gift will determine how we manage the challenge times of transition that we are in. In this series, I am suggesting that leaders of organizations and communities see their roles as stewards rather than managers. As stewards, leaders look beyond their own self-interest or even the interest of their company or community alone, to see how assets are gifts, not just resources, and as gifts, ones to be shared. 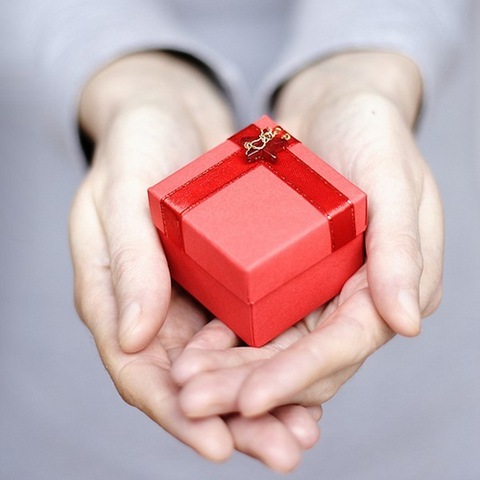 The steward creates a giving culture, rather than a grasping or taking one. This is not a zero-sum perspective. Rather, it is a recognition that abundance exists wherever giving is the norm. It is difficult to acquire the perspective and practice of stewardship without the perspective and practice of gratitude. Both require a mindset that acknowledges a connection and responsibility to people and institutions outside of our own personal domain. To be a steward is to recognize an obligation to care for that which has been given. To be grateful is to recognize the connection that we have to the kindness and trust of those who have given to us. The Stewardship of Gratitude is a strategic platform for social and organizational change. I look forward to exploring with Weekly Leader readers this revolutionary perspective. Tagged with abundance, abuse, choice, gift, gratitude, hardship, stewardship, success, transition.